Welcome to the Frictionless Finance Report, our bi-weekly look at everything new in the world of Open Banking, FinTech and consumer experience. If you’d like to receive this in your inbox every other Wednesday, simply fill in the form at the bottom of the page. This week we examine a number of new surveys released on the impact of Open Banking, George Osborne’s contribution to the Open Banking debate, and Lloyds Bank new Google Map functionality. It's that time of the year where news outlets have written on the technologies that will drive the market in 2019. Unsurprisingly, Open Banking has featured on several. OBIE Trustee Imran Gulamhuseinwala had a busy week, speaking at both the LendIt FinTech Europe conference and the Open Banking Expo. At LendIt FinTech he was able to expound on some of the subjects he covered while speaking to The ID Co. recently. Further coverage can be found in Finextra. Also making an appearance at the conference was ex-Chancellor George Osborne. He urged financial institutions to speak to regulators on the issues they were facing in relation to Open Banking, before going on to say that in time, it would prove to be “pretty dramatic to the industry”. In FinTech Futures, Open Banking features as one of the top five features for a digital banking experience, while in the Financial Brand, Jim Marous cites Open Banking as one of the five innovation trends that will define banking in 2019. In Forbes, contributor, Anabel Perez has spoken on Open Banking, placing it in the context of other historical financial achievements, such as the mainframe computer and the development of the App Store. If it’s not developed here, and by us, who will benefit from its development, she asks? Conrad Ford of Funding Options has written on FinTech Futures on how to move Open Banking forward in 2019. 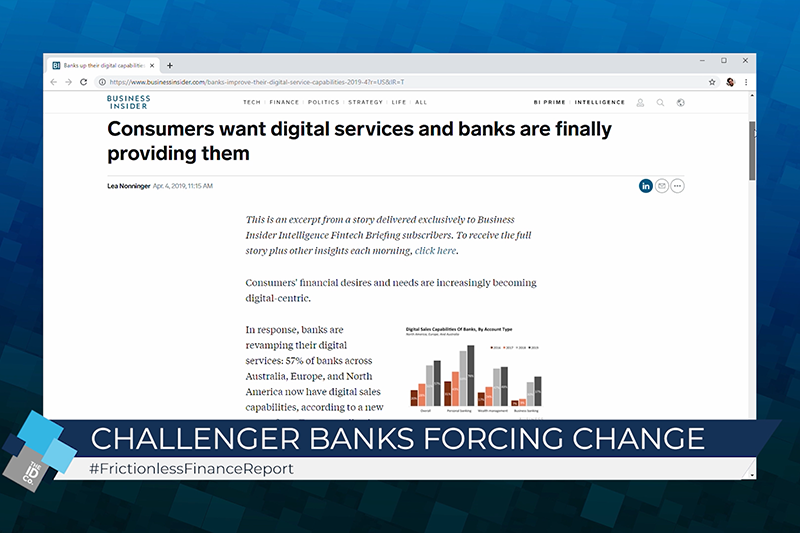 Instead, he says, of focusing on the cynicism, advocates of Open Banking should begin to talk more of their successes, and slowly begin to educate consumers on the advantages Open Banking can bring. The role of data within Open Banking has not been lost on Computer Business Review who argue the lack of skilled data scientists and personnel with the ability to manipulate complex data sets has in the past meant all customers were receiving the same information from financial institutions. In today’s complex world customers require bespoke offers and Open Banking, combined with the correct use of data, can offer that to them. Citi have discussed on their blog how to best protect consumer data, after convening a panel of experts to discuss how Open Banking can be made a reality in the United States. Barclaycard have published a survey of 100 Chief Technology Officers, and offered their own up for interview with Bobsguide. In the interview, Keith Little comments that for major banks, collaboration will be key to success. “It is encouraging to see that the vast majority of respondents hold Open Banking up as a positive initiative and – despite the challenges with defining a clear Open Banking strategy – the industry is not standing still. said Dave Gardner, Partner at TLT. 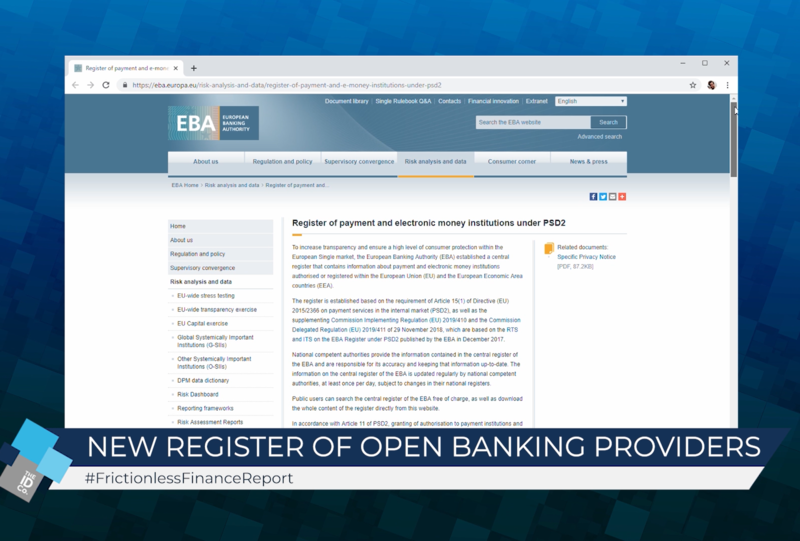 Following a poll conducted by Fiserv in Australia, the UK, Poland and France, it has been revealed only 8% of companies yet to implement Open Banking solutions have the required people and skillsets within their organisation. However, 67% of financial institutions agreed Open Banking will have an impact on the financial sector, with 27% saying it would radically transform it. 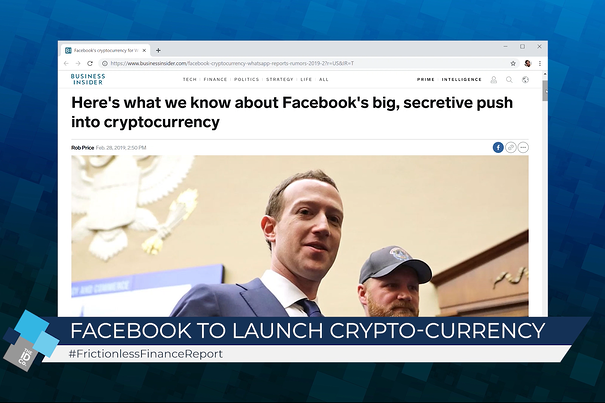 Further coverage can be found in P2P Finance News, Business Insider, and Verdict. Accenture have also been getting in on the act with their own survey - “It’s Now Open Banking, Do You Know What Your Commercial Clients Want From It?” In this survey of 750 executives from across the banking and FinTech ecosystem, they found 90% of banking institutions plan to introduce Open Banking products for commercial clients - broadly in line with the TLT survey. Coverage can be found in pymnts.com and Which-50. The ID Co. customer Clydesdale & Yorkshire Bank has announced it is to a new funding joint venture with Salary Finance to offer £400m of personal loans. FinTech Salary Finance connects to employers payroll whereby they can offer salary deducted savings, loans and pay advances. Separately, CYBG reported a 5.6% uplift in SME lending year on year. There has been significant coverage of Lloyds new banking feature, which allows customers to track their spending via Google Maps. It is hoped the feature will allow customers to more readily identify fraudulent payments. The feature has been rolled out to Lloyds, Halifax and Bank of Scotland customers using the desktop application, and will shortly feature on both Android and iOS. Coverage can be found in Finextra, the Times, the Telegraph, Money Saving Expert, Computer Weekly and Specialist Banker. Monzo and Starling Bank have both introduced features that will allow users to block payments to gambling sites in an effort to curb addiction levels. With the introduction of PSD2, banks are now mandated to report on outages or IT failures. As a result, the FCA has reported the volume of outages reported to them from October 2017 to September 2018 has more than doubled to 511. What does it take for banks to succeed going into 2019? New research by efinancial careers, suggests, more than anything else, major banks are recruiting for top tech talent. Looking at the large US banks, they found almost 40% of open positions were for technologists. This week in our international roundup we cover news coming out of Ireland and South Africa, and as anticipation grows in the Antipodes about the implementation of Open Banking, there is plenty of coverage to be seen. FDATA, of whom The ID Co. are a member, have also written an interesting piece for the Canadian Globe and Mail newspaper. At a conference in South Africa, law firm Hogan Lovells detailed their experiences in Open Banking and outlined how it could work as a force for good on the continent. James Black and Krista Koskivirta relayed to delegates how Open Banking could offer consumers more choice in their banking and asked whether it should be mandated or driven by market forces. AIB has opened the first Irish open-API's. The technology specifications for AIB’s open APIs are publicly available. The bank also provides a publicly available dedicated testing environment, or sandbox, for applications to people to learn about and experiment with AIB’s open APIs in a safe way. Coverage can be found in Finextra and Silicon Republic. 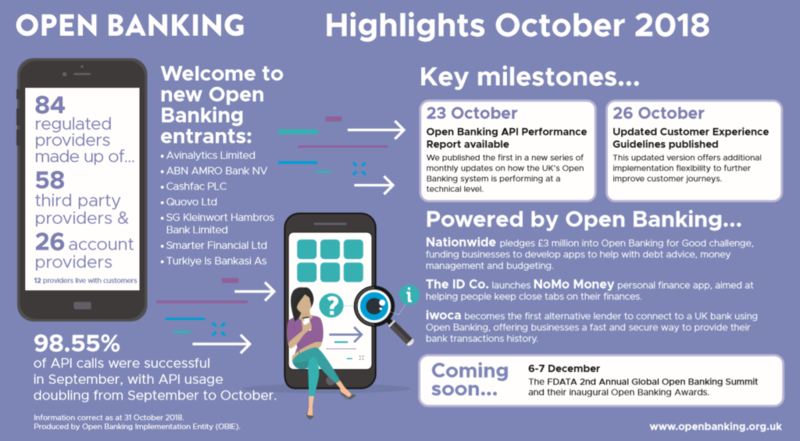 Finder.com and ws o2.com have both written comprehensive reviews of what Open Banking will mean for consumers, covering the timeline for implementation and how it will impact upon Australian consumer finances. Following news Westpac announced its new obligations under the Consumer Data Rights could cost in the region of AUS $200m, the National Australia Bank has said it believes that under its new frameworks for Open Banking and data coverage it can keep costs to a minimum. And also in New Zealand, The ID Co.’s CEO, James Varga has written a guest post for Fintech New Zealand outlining his own experiences in Open Banking and suggestions for how Open Banking can benefit consumers. This week, three major stories dominate our thinking. What will be the future of banking with FinTech continuing to rear its head, the introduction of a FinTech sandbox in Kuwait, and the role Scots Fintech could have in progressing Open Banking in the UK. Tom Bradley of Oxford Capital has written in City AM on the dangers FinTech could pose to major high-street banks. He notes the three factors that weigh heavily in FinTech’s favour is price disruption; state of the art products and network effects. As well as traditional FinTech’s he cites the possible emergence of Google, Amazon and Facebook as well as the giant Asian tech companies within the financial sector. Kuwait has become the latest in a long-line of countries to develop a FinTech sandbox. The oil rich Gulf state has created the sandbox in response to neighbouring countries such as Bahrain and Abu Dhabi and Saudi Arabia. There is considerable coverage, including Finextra, pymnts.com, Wamda, Fintech Middle East, IBS Intelligence, FinTech Insight and Reuters. Steve Tigar of Scottish FinTech, Money Dashboard has written on how FinTech companies (and thanks for the mention, Steve!) can help progress Open Banking, and the UK financial services sector. He notes the rapid journey Scottish Fintech firms been on over the last decade, but that “collectively we have still to scratch the surface on what is possible”. As always, we finish with a look at what we have been working on at The ID Co. We’ve already mentioned our guest post in Fintech New Zealand, and we’re delighted with the response it is had from the New Zealand financial community. We’re as excited at the introduction of Open Banking in the southern hemisphere as anyone, and look forward to working with colleagues and friends there. Downloads for our PFM, NoMo continue to defy expectations. Watch this space for an Android release coming soon as well as updates to user experience. In the interim, we were ecstatic to see NoMo feature in the latest update from the OBIE. See the infographic below. James Varga also features in this excellent interview with Finance Edge. In the interview James explains where the value of Open Banking will come from and how we can show this benefit to consumers. Well worth a read! 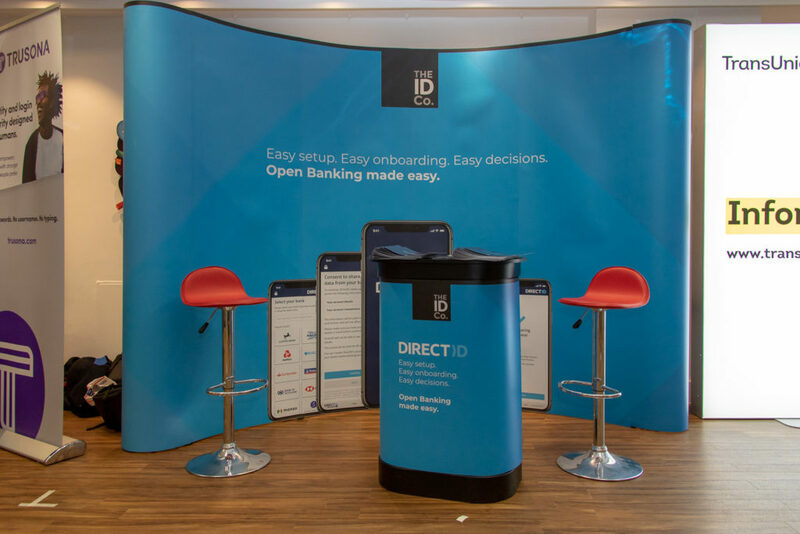 We’re right in the middle of conference season and last week we had a great time attending the Open Banking Expo in London. It was great to catch up with familiar faces and make new friends. We were delighted with the reception to James’ conference speech and it was great to give a run-out to our new stand! We’ll be giving it a further test this week as we are headline sponsors for the FDATA Global Open Banking Summit taking place a little closer to home in Edinburgh. Again we’re really looking forward to meeting with all delegates and stakeholders. Watch our social feeds on Thursday and Friday as we’re sure to have plenty of coverage. We’re also up for three Awards on Thursday night at the Awards Dinner – watch this space for news of how we fare!